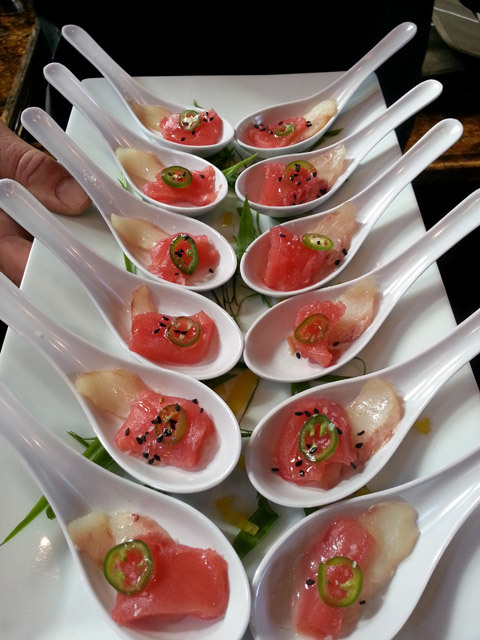 Providing 20 years of award-winning service to the Lake Tahoe and Truckee areas, the North Tahoe Catering Co. can create any experience your mind can envision. We have the experience to make your next catered event a memorable one. Among our many services are weddings, private personal chef dinners, cooking instruction, picnics, award winning ice sculptures, corporate outings, rehearsal dinners, large scale events, and more. Over the years we have won numerous awards at the local Food and Wine Jubilee—Best in Show twice, best food items, best food and wine pairings, best decorated booth, peoples choice awards and even best ice sculpture for 12 years running. We were the winners of the Chef’s Ski Race two years as well. Also, Chris Banovich was the reigning two time Tahoe Blazing Pans Iron Chef champion until last year.